Hi Everyone and Happy Fall! The leaves are just starting the change over here in sunny Michigan, would you believe it's in the 80s here this week (50's last week LOL). Anyway I'm here today with a storybook card. I thought I'd create a cute little fall scene to send over to my little nephew. I'm using two different sets of lawn fawn stamps and dies here that coordinate nicely together. 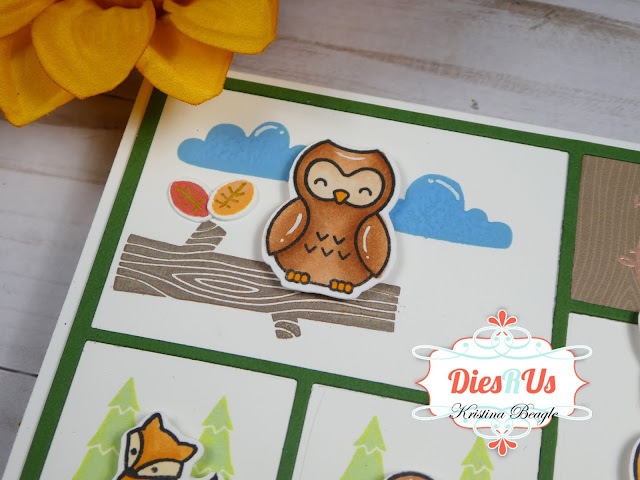 I started out with an old discontinued storybook die I had in my stash, but you could easily recreate your own storybook scene with any square or rectangle dies! After I had the die cut scene I traced it with a pencil to set up my stamping. 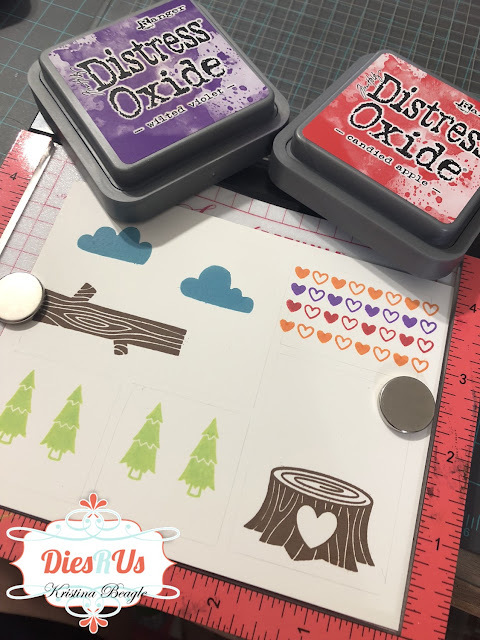 I used distress oxide inks to stamp the background images ( those hearts end up getting covered up ). 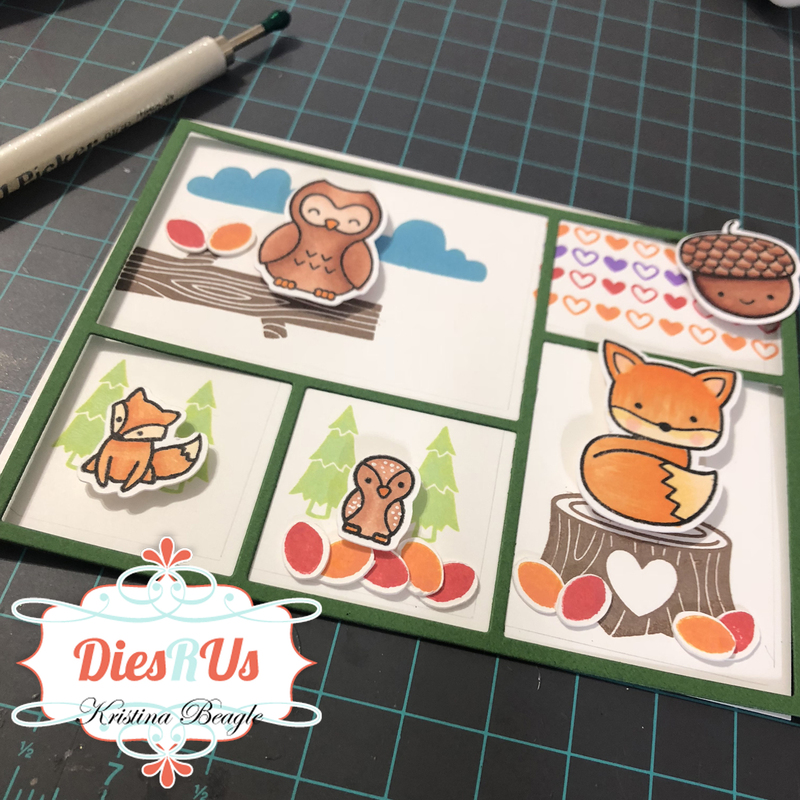 Once the scene was set, I stamped, colored, and die cut out all my little critters and pieces and started playing around and seeing where everyone fit. I embellished the leaves a little with a gold gel pen as well, to add a little more interest. Thanks for stopping by today, and Happy Fall! 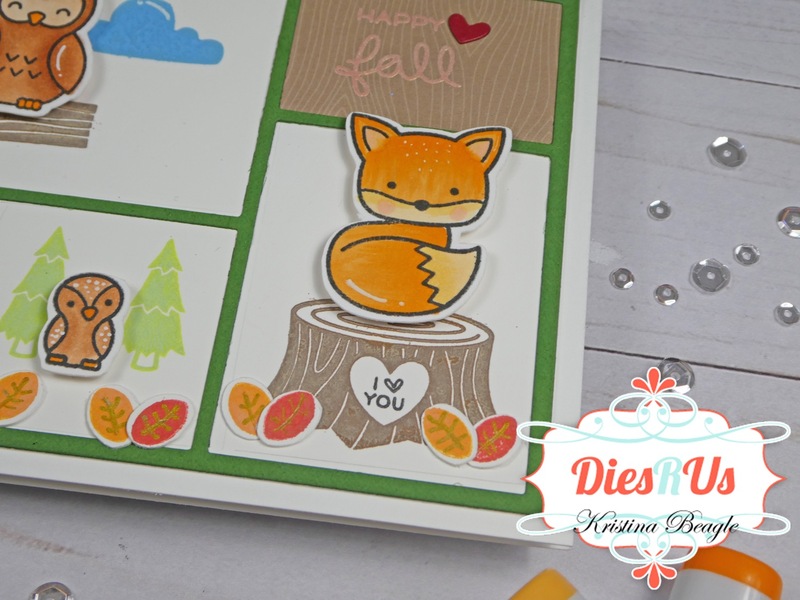 Awe what a sweet little Fall scene you have created! Your nephew is going to LOVE it!! 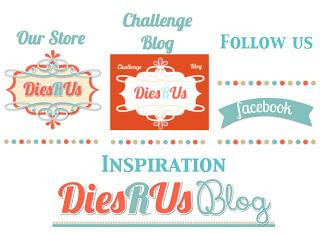 Awesome inspiration ... thanks so much! 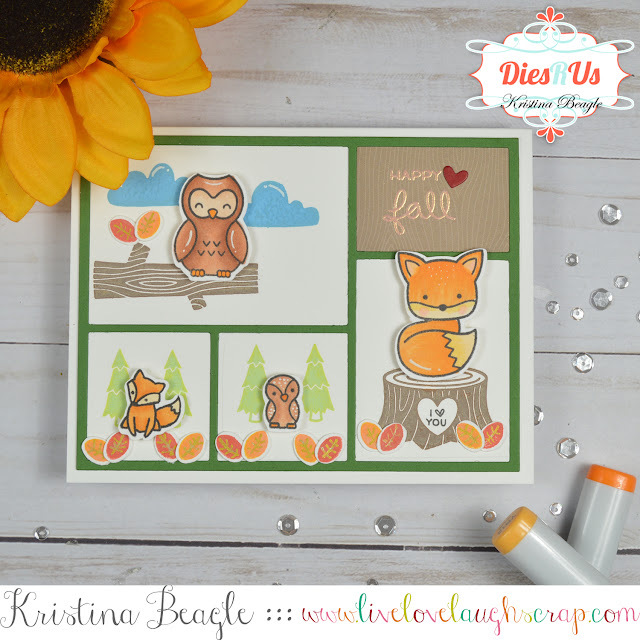 Such an adorable fall card. Love it! OMG! at his card is adorable! What a super happy make! Love the colors and cuts! SO VERY CUTE in every way! Great make Teamie!